Are you fed up with people prying into your phone whenever they want, and seeing Pictures, Videos or Files they aren’t meant to? Do your kids just pick up your iPhone and start tapping away, and maybe stumble across photos of you and your ‘partner’ in a not so subtle pose? Are there even photo’s your partner is not meant to see? Well we have the App for you!! Welcome to ‘File Locker Pro Suite’, the App that gives you peace of mind from anyone messing around with your iPhone or IPad. 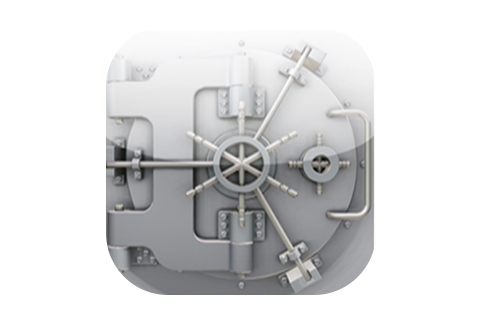 You select the Photos, Videos or Files you want secure and transfer them to the ‘File Locker Pro’ secure location. If anyone is tampering on your iPhone or iPad, they won’t be able to access your secure files without entering a Password. File Locker Pro’s secure password protection makes it possible to keep your files for your eyes only and all Pictures, Videos and Files remain in your device. So what are you waiting for, the App is quick and easy to install – Download today for some peace of mind! We have listened to all our users and have vastly improved our ‘Notes’ section of our app! Notes are much easier to read whilst typing a long note, and we have amended our keyboard to make new lines easier by including the ‘Return’ key. When resaving existing note files, it no longer generates a duplicate file with the newly added information. All amended ‘Notes’ will overwrite the existing file.